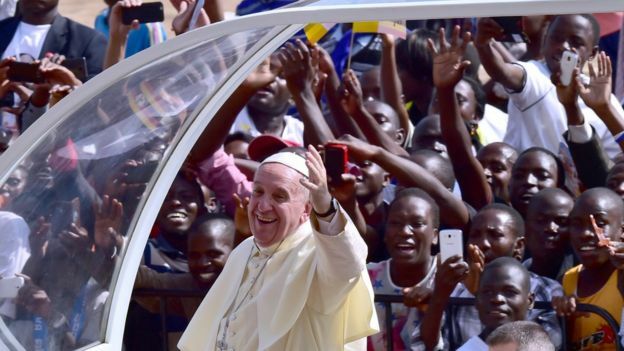 Catholic Church linked to child labor in Uganda. After the death of his father when he was a young child, he says that he was lost and without direction until members of the Catholic Church helped his mother pay for his education and that of his four siblings. “They helped me be what I am today,” he says. Now, aged 32, Mr Turyaritunga’s view on the Catholic Church has changed. 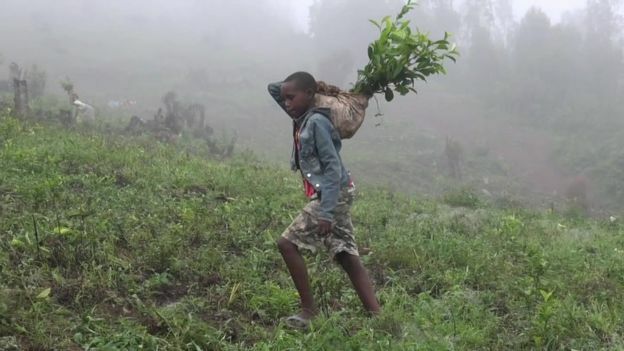 Earlier this year, Mr Turyaritunga made allegations to the BBC about child labour taking place on Church-owned land in Kabale. He alleged that children as young as 10 were working on a tea plantation on the land, and that the Catholic Church was profiting. 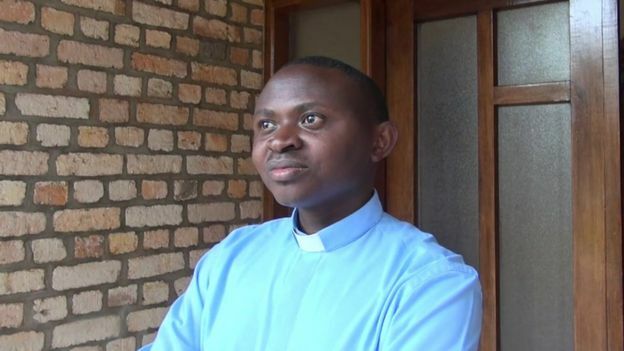 A local Catholic Church official confirmed to us that there had been “a business deal between the diocese and Kigezi Highland Tea” since 2013. The official said that the decision to harvest tea came “through the financial sustainability plan committee” of the diocese. Repeated attempts by the BBC to contact Kigezi Highland Tea Limited over the allegations went unanswered. Armed with a copy of the land deeds, we decided to put our findings to Bishop Callistus Rubaramira, of the Catholic diocese of Kabale. Just outside his residence, on Church property, we came across more children, one of whom was 10 years old, unloading tea seedlings from a truck. They were preparing for the next day’s work. When we asked them their age, one responded: “10 years”. They laughed together, before returning to work. Children aged 10 working for a business run by both a church and corporation highlights the complexity of what Pope Francis calls an “authentic plague” on children of the world. When we tried to contact the Bishop in his diocese, we were told that he was preparing to meet the pope. Calls to his mobile also went unanswered. Father Lucien, his secretary, denied that child labour was taking place on the tea plantation. So we called the Vatican instead and put our evidence to the Pope’s spokesman, Federico Lombardi. “I deny to have responsibility and duty to answer about this – if there is problem for the local church, I am not responsible for that”, he told us. Mr Turyaritunga, the one-time child soldier turned nurse and now whistleblower, believes child labour is a problem for the Church’s highest office to solve. He says that business and the Catholic Church should not mix without proper oversight. “I feel at this time the Catholic Church is not ready for business,” he says. “That’s why I am calling for policy reform.